"Graeciae universae secundum hodiernum situm neoterica descriptio. Iacobo Castaldo Pedemontano Auctore". 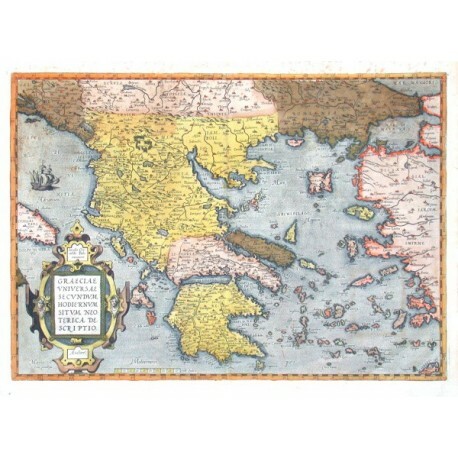 Copper-engraving after the I. Gastaldi's map of Greece published by A. Ortelius, ca. 1570. Original old colouring. With great coloured ornamental title-cartouche and a ship. 36,5:51 cm. V. d. Broecke nr. 146.1; Koeman III, map 7800:31, ed. 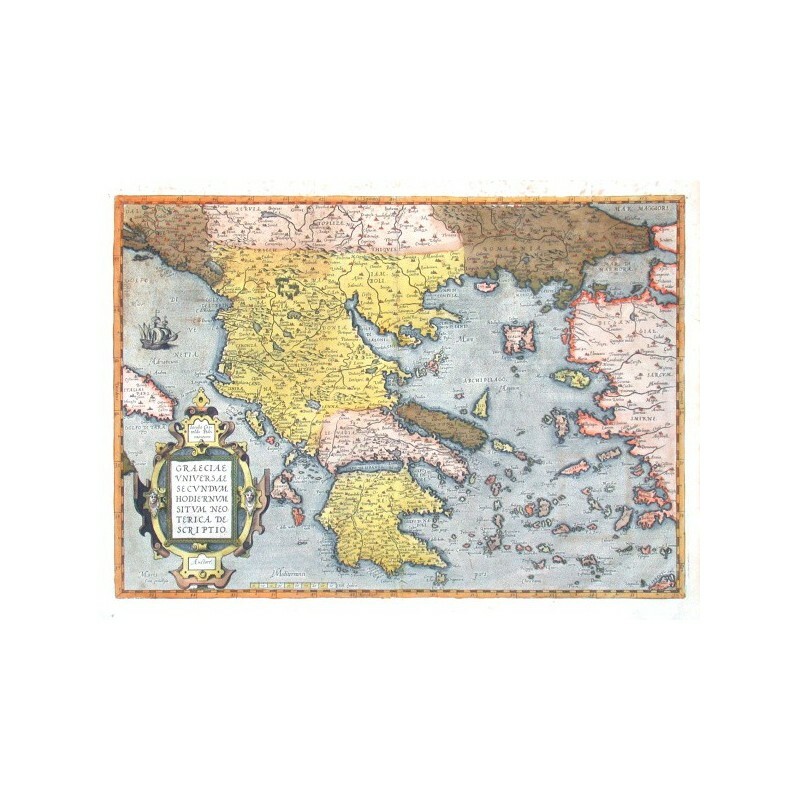 31:031 (1584 Latin); Zacharakis 1610 - Dekorative Karte von Griechenland.